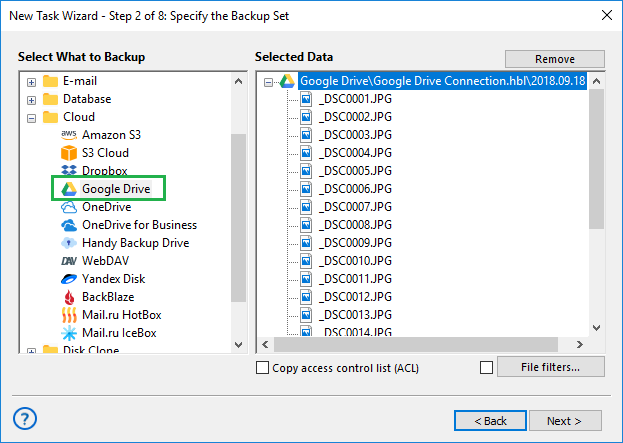 Google Drive feature allows Handy Backup connecting with a Gdrive cloud service as a backup source or as a storage for data backed up. Make a new backup task, and on a Step 2, choose the dataset you want to back up. Click on a “Create a connection…” option; it opens an account settings dialog. Click on the “Connect to Google Drive” button. The program will redirect you to your default browser, where you must enter your Google Drive connection parameters. Allow Handy Backup to use this particular Google Drive account. Return to Handy Backup. The program will test your established Google Drive connection. Click twice on your Google Drive configuration. Now Handy Backup will use it as data storage. Click on the “OK” button to continue creating your tasks. Other steps of the task creation are unspecific for backing up to Google Drive. All steps described earlier are also actual for using your Google Drive account as a data source for backing it up. 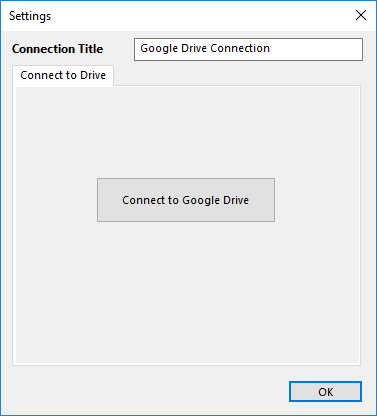 Select the “Google Drive” feature as a data source on a Step 2, then set up a new configuration or use an existing connection like described before. Note: You cannot back up internal Google Apps files, such as documents or tables, by this way. This option is voluntarily restricted to provide as much protection for these data as possible, since the Google cloud protects this content by its own means. 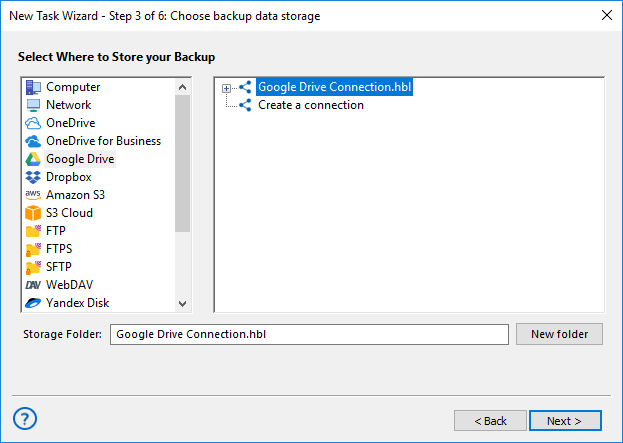 To restore data, you must firstly provide a connection to Google Driveby selecting a pre-configured account connection created as a data destination earlier, as described before. Then use the file backup.hbi located at your Google Drive account to restore the files kept on the Gdrive. 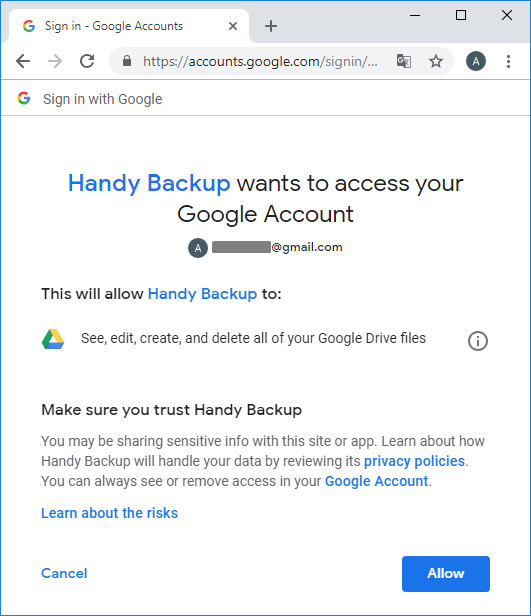 Learn how to backup files to Google Drive or backup Google Drive account itself with Handy Backup.